Since today officially kicks off J. Cole's Dreamville Weekend in Fayetteville, I figured it's the perfect to bring some more North Carolina shine to G.U.E.! It's been a while since an R&B singer and an emcee have come together for a full project but duo Quent and J. Spells do it with ease. 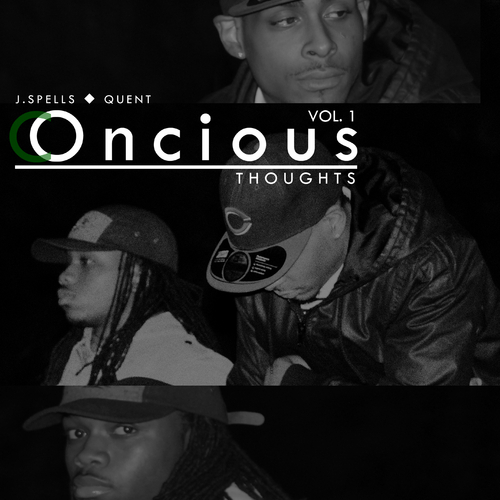 Although both have the ability to make music to rock to at a party, they decided to go a different route on their new project Conscious Thoughts. Flowing over Outkast classics "Spottieottiedopaliscious" and "Black Ice" on the first two tracks, they provide the perfect introduction. Enjoy the mixtape below, and hit the jump to check out their video to "Sky High," which was directed by my friend Keith Eason!